Like other colonialist countries, Spain has a history of slavery. In Nuevo Mexico the practice resulted in the creation of a hybrid population group known as “Genizaros” who today make up a significant portion of the populations of northern New Mexico, southern Colorado, and the South Valley of Albuquerque. 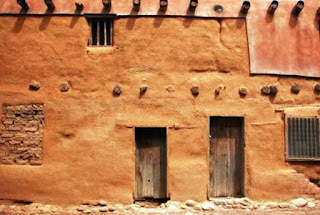 And Genizaros founded the towns of San Miguel and San Jose, as well as Abiquiú – site of a witchcraft outbreak and trial from 1756 to 1766, and two centuries later the home of artist Georgia O’Keeffe. The definition of who is a Genizaro is however not precise. Fray Angelico Chavez, O.F.M. (1910-1996) – archivist of the Archdiocese of Santa Fe and “oppositional historian” who wrote about the non-Anglo, Hispano roots of New Mexico past’s – defined Genizaros as, “Indians of mixed tribal derivations living among [Hispanos]…having Spanish surnames from their former masters, Christian names through baptism in the Roman Catholic faith, speaking a simple form of Spanish, and living together in special communities or sprinkled among the Hispanic towns and ranchos.” In practice the category came to be applied more generally to Indians who had lost their tribal identity, spent time as captives or servants, and were living on the margins of Spanish society. 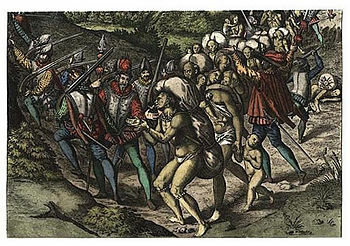 The original intent of the encomienda was to reduce the abuses of forced labor (repartimiento) that the Spanish colonists employed shortly after the discovery of the New World. However in practice it had the reverse effect and became a largely means of enslavement. The Spanish crown attempted to end the severe abuses of the system by passing the Laws of Burgos (1512–13) and the New Law of the Indies (1542) – but both failed due to heavy colonial opposition. Instead a revised form of the repartimiento system was revived after 1550. The Spanish government’s view of slavery shifted pro and con over time and the encomienda itself was not officially abolished until the late 18th century. When the Spanish Conquistadors first came to New Mexico, Spanish law explicitly forbade servitude. However an ambiguity in the rules, the Recopilacíon de Leyes de Reynos de las Indias of 1681, allowed the capture and enslavement of unconverted Indians for the purpose of Christianizing them. This practice was given further sanction in 1694 when a group of Navajo brought a group of Pawnee children to New Mexico to sell to the Spanish. When the Spaniards refused to purchase them, the Navajo beheaded their captives. After learning of this Charles II, King of Spain, ordered that royal funds be used if necessary to avoid another such atrocity. The Spanish government had authorized this practice as a means of saving the souls of the heathen Indians by converting them to Catholicism. However local government officials, landowners, and some members of the clergy often placed more emphasis was on the amount of work Genízaro servants performed, while teaching their servants Christian doctrine was often ignored. The standard wage for a Genízaro was three to five pesos per month, depending on the length of their service. And once the process of Christianization had occurred and Genízaros had earned enough to pay off their ransom, they were supposed to be freed. This part of the law was also not always followed by the slaveholders. In the 1747 trial a servant name Manuel George testified that Pedro told him he was determined to escape to “la Nacion Comanche” with Maria de la Luz – and then “return in the company of Comanches and take out the Espanoles by their hair” (i.e. scalp them). Other witnesses, among them Geronimo Martin who was described as “a rational Indian with known good intentions,” also said they knew that Pedro wanted to flee to the Comanche. 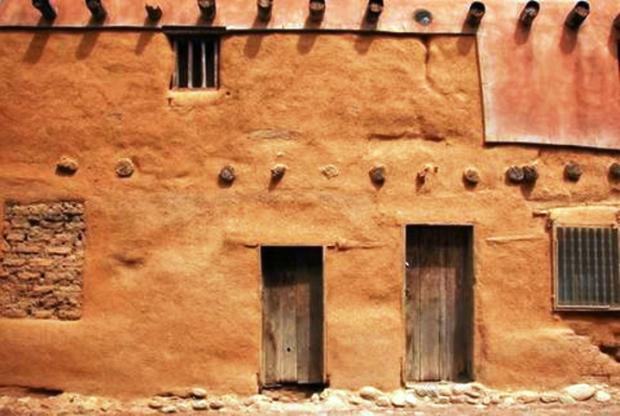 De la Cruz was found guilty of planning to “apostate to the Comanches” and sentenced to five years of labor as a personal servant in the obraje (wool cloth processing plant) of Antonio Tivurcio in the Pueblo of Nuestra Senora del Socorro at a salary of three pesos a month. Genízaros were marked with a very low social status because they were neither Spanish nor Indian; thus, it was difficult for them to obtain land, livestock, or other property required to make a living. “The primary elements of Genizaro status were servitude or captivity and Indian blood. Within these two factors there were numerous variations, the defining characteristics being quite elastic. When the Genizaro category is expanded to include mestizos (mixed Indian-Spanish) who were captives of Indians, and then lived as Spaniards after their release…while retaining their mestizo status, additional permutations of what constitute a Genizaro emerge.” Such a person was Juana “La Galvana” Hurtado, who was able to leverage her experience and contacts in both the Hispanic and Native American worlds to acquire land, livestock, and a substantial amount of material goods, although still retaining her Genízara status. Juana Hurtardo was living as the daughter of Andrés Hurtardo and a Zia woman servant of his at Santa Ana Pueblo, which he held in encomienda. Even though her father was probably an elite member of Spanish Society, Juana still would have been considered a coyota, (mixed Indian-Spanish) mestizo or Genizara. A few months before the Pueblo Revolt in August 1680, at the age of seven Juana was taken captive by a band of Navajo with whom she lived until 1692 when her brother ransomed her. By that time Juana had given birth to at least one and possibly two children with Navajo fathers – and probably had been adopted into a Navajo clan. This close relationship with the Navajo continued as members of that tribe made frequent trading tips to Juana at the rancho where she now lived. Juana also continued a relationship with a Zia man named Galvan (hence the “La Galvana” in her name) with whom she had four more children. When Juana died in 1753 she owned a ranch with three houses and extensive herds of cattle and sheep. Her funeral costs – which were paid from her estate – totaled 229 pesos, paid in-kind with: four cows with calves; several goats with kids; several sheep; one “fine” mare; one horse; one embroidered manta (cloth); and one cotton manta. The remainder was distributed among her four Galvan children. The majority, 1,222 pesos including land and a house at Zia Pueblo, went to Lorenzo Galvan to whom she referred as “her legitimate son and heir.” Matias, Diego, and Juan Galvan received 1,101, 823 and 480 pesos respectively. Fifteen-year old Juan’s share was held by older brother Diego who was charged with teaching his younger sibling the rudiments of the Christian religion – indicating that the children may have been raised more as Zia than as Spanish Catholic. The balance of 1,855 pesos was paid to unmade creditors. Juana Hurtardo was a woman with one foot in the world of her Spanish conquistador father, and the other in the Indian world of the Zia and the Navajo. The size of her estate and the amount of her funeral expenses place her in the same category as other women of property in eighteenth-century New Mexico. But Juana Hurtardo was consistently referred to as a coyata throughout her estate proceedings. Some Genizaros assimilated and became full-fledged Spanish citizens through marriage to Spaniards. Others such as Manuel Mestas and Pedro Lujan were able to acquire “vecino” (property owner, freeman) status by actively engaging in the same business of slave trading from which they came. But despite her success as a mother and independently wealthy woman in her own right – in the end, as an Hispanicized Indian, “La Galvana”, was still considered just a Genizara. Georgia O’Keeffe was the reason Marsha and I came to northern New Mexico for the first time almost twenty-six years ago to celebrate our silver anniversary. I had little familiarity with her art when earlier that year we went to a retrospective exhibit of her work at the Museum of Modern Art in New York City. 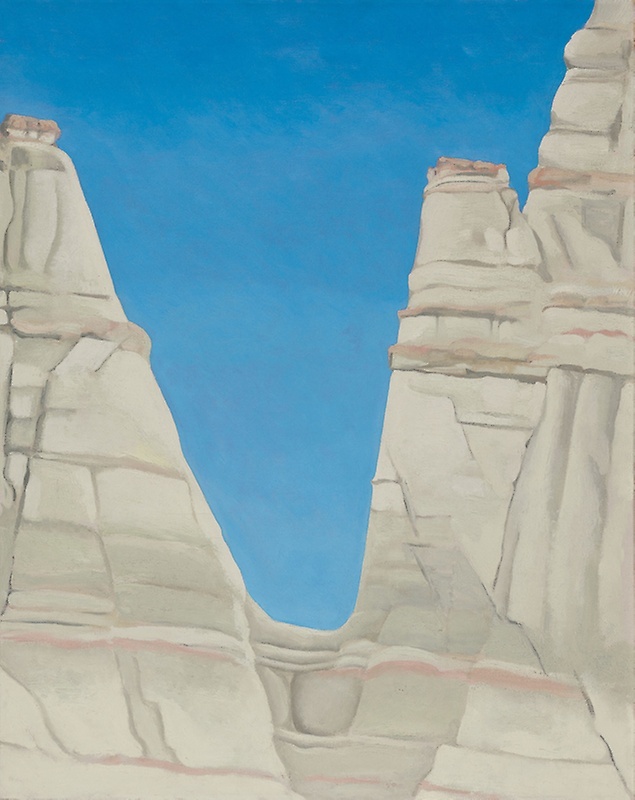 And, although not really fans of non-representational paintings, we both were, in the jargon of the day, totally blown away by what we perceived as O’Keeffe’s abstract interpretations of the desert southwest – recognizable, yet not realistic. So when we were trying to choose where to celebrate our marriage milestone we recalled that artwork and decided to go see the land that was the inspiration for her non-pictorial pictures. And quickly discovered when that we looked at things a certain way, particularly through a camera viewfinder, they were not that imaginary after all. And we were forever hooked on the desert southwest. O’Keeffe’s first home in New Mexico was at “Ghost Ranch” in the town of Abiquiu about forty-five miles north of Santa Fe. And following the advice of a fellow traveler we had met at breakfast we decided to make her first home our first sightseeing stop. The ranch was then, and today, a Presbyterian Education and Retreat Center, donated to the church by Arthur Newton Pack and his wife Phoebe in 1955. In the 1930s Pack had been a frequent guest at what was at that time an exclusive dude ranch run by Carol Stanley whose former husband by divorce Roy Pfaffle had won the deed to the property in a poker game sometime early in 1928. Guests at Stanley’s high desert resort included Charles Lindbergh, Ansel Adams and John Wayne – and for most summers from 1929 to 1945, Georgia O’Keeffe. Prior to that it had been the property of the Archuleta brothers, cattle rustlers who enjoyed the coverage and invisibility that the canyon provided and had a tendency to murder others who came onto their refuge. To discourage their neighbors from snooping around the Archuletas spread the rumor that the land was haunted by evil spirits – from which it came to be called “Rancho de los Brujos” (“Ranch of the Witches.”) Ultimately, and probably inevitably, one Archuleta killed the other – after which a group of local men came to the ranch, and hung the remaining brother and his gang from a cottonwood tree that still stands next to one of the casitas on the property. On taking over the property Carol Stanley renamed it Ghost Ranch – a friendlier moniker that still captured a bit of its past history. 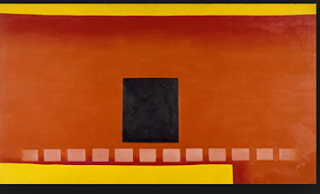 O’Keeffe’s casita could not be visited. But on the way in to the ranch Marsha and I noticed a tall red rock formation, which we discovered at the visitor center was appropriately named Chimney Rock and was climbable via a three mile round trip trail with a 600 foot rise in elevation. So, armed with our bottles of apple juice and some small snacks, we set upon our inaugural New Mexican hike at the top of which we found a panoramic view of the landscape which was so inspiring to O’Keeffe. And to us. I also personally learned that, with Marsha, I was willing to try things I once would never have thought I was capable of doing. During her summers at Ghost Ranch O’Keeffe learned to drive an automobile. And on one of her motor trips came upon a property in the village of Abiquiu, which she decided she wanted as her own house. At the time, it was a deteriorating adobe structure owned by the Roman Catholic Church, which for about fifteen years did not want to sell it. O’Keeffe persisted. Eventually the church relented, and she was able to purchase it in 1945, renovate it, and reside there until 1984 when frailty forced her to move to Santa Fe for the two remaining years of her life. It was this house which was itself the subject matter of over two dozen of her most iconic painting that we finally visited on a recent Friday with our friends R, D and E from our former home town of Wethersfield, CT who were visiting Santa Fe for the first time. 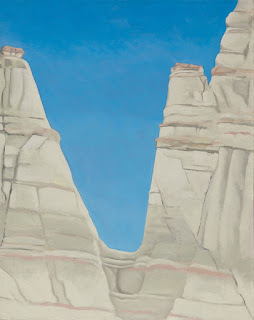 And who, like us on our maiden voyage to the Land of Enchantment, were drawn here (at least in part) by O’Keeffe’s work. Access to the residence is available only by guided tour through the O’Keeffe Museum in Santa Fe, which ferries tourists from the Visitor Center on the grounds of the Abiquiu Inn, through the tiny village, to the 5,000 square foot residence with acequia drenched gardens and a central patio that is one of her favorite subjects. It is monsoon season in New Mexico. And when we got to The White Place the surrounding skies became decidedly non-blue, and the winds began blowing fiercely. So we limited our visit to a short walk towards the formations and some zoom photos. But even in the less than ideal lighting conditions I think all of us could see the possibilities, which Marsha, and I at other times on sunnier days have experienced up close and personal. Two days later our quintet traveled the High Road to Taos – stopping along the way at El Santuario de Chimayó – a Roman Catholic Church, and National Historic Landmark in the village of Chimayo. Whether you believe or not, there is something about the peacefulness and serenity of old, small Spanish Colonial New Mexican churches that draws you in and wraps its arms around you. Plus, the dirt in a hole called “el pocitio” in a small closet-sized room is believed to be miraculous, making the church “one of the most important Catholic pilgrimage centers in the United States,” according to the National Park Service, which cares about this because of the site’s Historic Landmark status. A Prayer Room next to el pocitio contains an amazing number of discarded crutches and rosary beads And a walking procession of the faithful follows our thirty mile driving route from Santa Fe to Chimayo each Easter. The youngest among us hunched herself into the tiny room to retrieve two cupped hands of the sacred soil for our group to share. After fortifying ourselves with brunch at Doc Martin’s restaurant in the center Taos –”the best pancakes ever,” according to one of our group – we headed on to Taos Pueblo, constructed between 1000 and 1450 A.D., and “considered to be the oldest continuously inhabited communities in the USA” according to their website. As well as a UNESCO World Heritage Site. Unfortunately our monsoon luck struck again just as we pulled in to the visitor parking lot. But armed with umbrellas and jackets we persisted and enjoyed the short walking tour of the Pueblo including Saint Jerome’s Church with its Virgin Mary/Corn Goddess at the center of the altar – a reminder of the forced conversion of the resident Tewa Indians to Catholicism, and of the Native American’s continuing practice of their indigenous Tewa Religion in parallel with their imposed Christianity. Marsha and I first visited Taos Pueblo on our initial foray into New Mexico – on a magnificently sunny day. And what I recall most from back then was the way in which, as on O’Keeffe’s patio, the luminescence visually rearranged the architectural lines of the multi-story adobe apartments creating another recognizable, yet not realist – abstract but not imaginary scene. The sun came back out during our drive from Taos Pueblo to the Millicent Rogers Museum on the outskirts of town. The MRM was established by one of her sons and is filled principally with objects from Millicent Rogers' personal collection of jewelry, textiles and baskets. 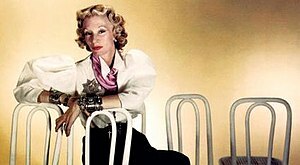 Looking to recover from her breakup with actor Clark Gable, Millicent came to northern New Mexico in 1947 – saw the light, and never left. "Dear Paulie,” she wrote to her son, “did I ever tell you about the feeling I had a little while ago? Suddenly passing Taos Mountain I felt that I was part of the earth, so that I felt the sun on my surface and the rain. I felt the stars and the growth of the Moon; under me, rivers ran..."
We hope that R, D and E experienced some of that same northern New Mexican mystique – and that others who follow them will also.